Close your eyes, breathe deep, and let the wonderful cotton candy aroma take you back to the county fair! 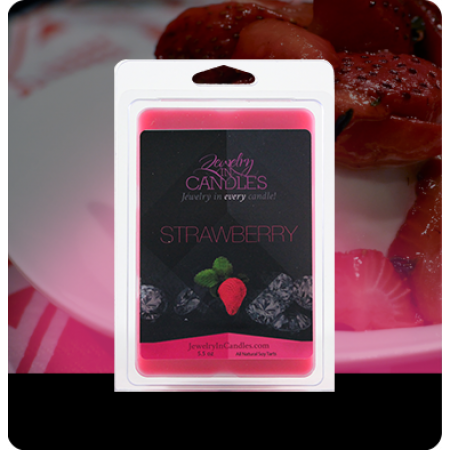 With sugary strawberry and sweet vanilla notes, this scent is sure to hit a sweet tooth! 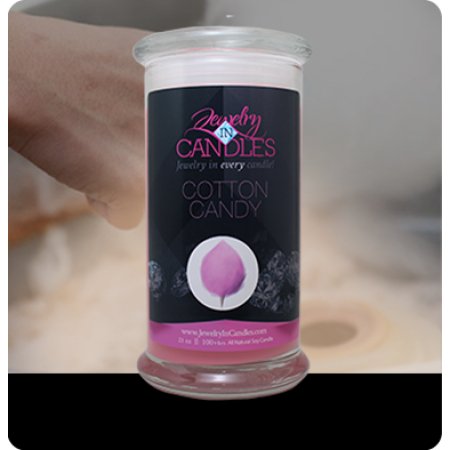 Cotton candy candles with jewelry. Full size 21oz jewelry candle - 100% all natural Soy candle burns for 100 to 150 hours. Who needs an amazing Valentine's Day gift for that special one! Have you checked out Jewelry In Candle's By Toni yet? I am a huge fan of Jewelry In Candle's by Toni she is amazing to her customers. Right now of Jewelry In Candle's by Toni's facebook page she is running a contest where one fan will win a free Love Potion Candle so make sure you are a fan and have entered! 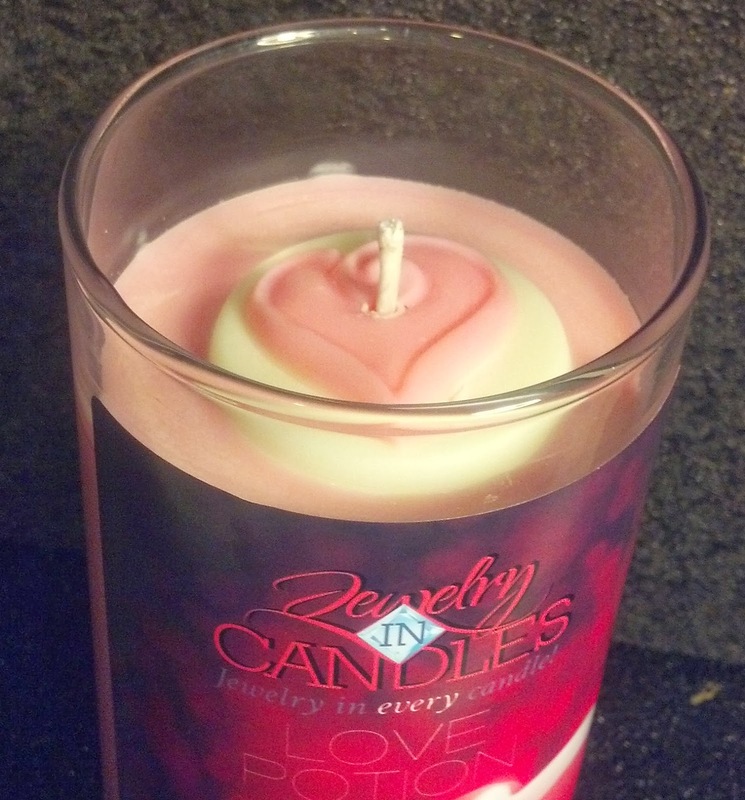 The Love Potion Candle is the newest limited edition Jewelry In Candle's scent. Fragrance infused with natural essential oils, including Orange and Grapefruit. Full size limited edition 21oz scented candle. 100% all natural Soy candle. Includes a surprise piece of jewelry themed to Valentines Day. Celebrate Valentine's Day with this classic love spell... A luscious infusion of cherry blossom, citrus, hydrangea, apple and peach. What better way to say "I love you" than to give your "heart" this Valentine's Day! My favorite scents are the Cotton Candy, which is what I picked up for my Valentine's Day review/gift! Not only is it pink which screams girly and love but it is packed full of amazing sweet Cotton Candy scent! Every Jewelry In Candle tart and candle comes with a surprise piece of jewelry and you get to choose either a necklace, earrings, ring or random piece of jewelry. Look what I found in my last candle! 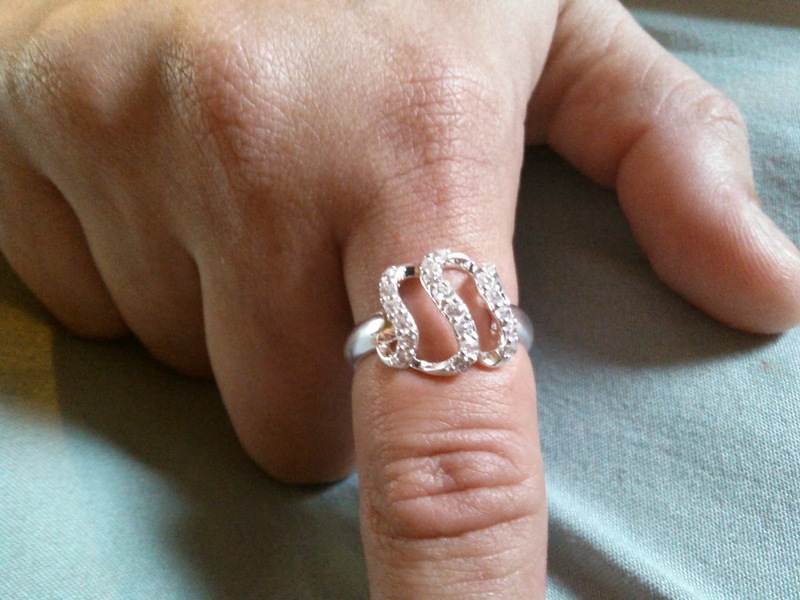 My ring is marked 925 (which means sterling silver) and I had it appraised and it retails for between $149.00 to $199.00! Wouldn't this be a great surprise I found this ring in my first Jewelry in Candle Pumpkin Spice. My hubby is not great at picking gifts but with the help of Jewelry In Candle's he has no problem! He always picks me something I love! For Christmas he got me an amazing set of tarts Strawberry, Watermelon and Birthday Cake! I was amazed! I hope he does this great for Valentine's Day! Disclaimer: Moms Gone Bronson is not responsible for these opinions or prize fulfillment and was not compensated fir this post. Thank you! Banana Nut would be my choice..